As originally broadcast, there were a total of 195 half-hour episodes of “Strange Paradise.” Over the years, the show has been rebroadcast numerous times, both in the United States and Canada. Subsequent airings in syndication have tended to be incomplete in some form or another, and since at least the mid-1970's have never included episode 171. Until recently, why episode 171 was missing, and its ultimate fate, were unknown. 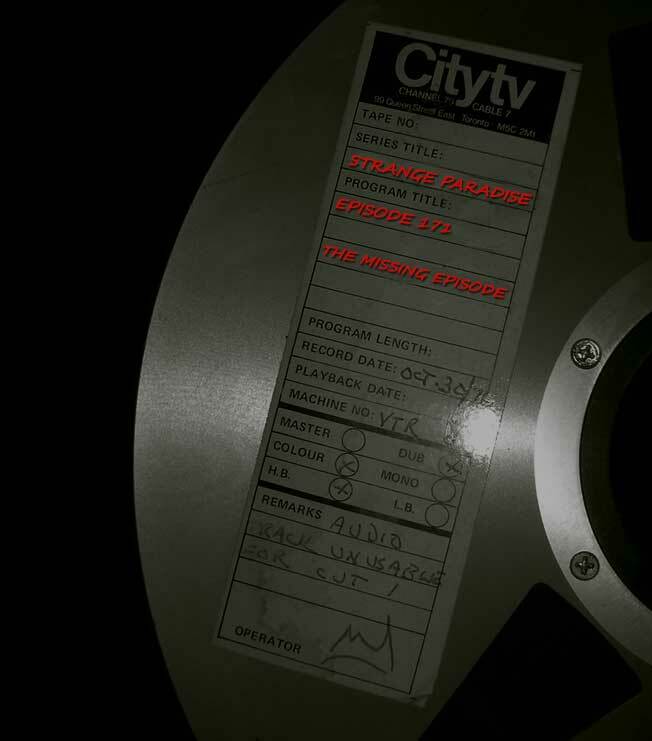 However, a recent discovery at a film storage warehouse resulted in the possibility that the Strange Paradise story could be complete once more. Click on the links to the right to find out more about the history of episode 171, and what it contains.